Roll out the red carpet–awards season is upon us! 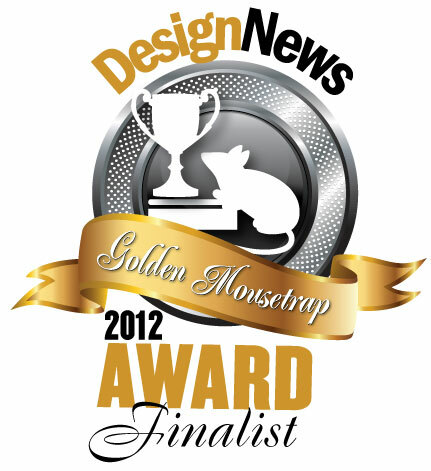 Design News’ Golden Mousetrap Award and BostInno’s 50 on Fire Award. Announced in the February 2013 issue of Control Engineering, SolidWorks 2013 has won the Engineer’s Choice Award for the Control Design Software category. The award highlights 29 categories of control, instrumentation and automation products that were introduced in 2012 including Network Integration, Motion Control, Machine & Embedded and Software. Out of 100 product nominations from 60 companies, SolidWorks 2013 stood out as “most exceptional based on technological advancement, service to the industry, and market impact”, according to Control Engineering. Joining the ranks with SolidWorks 2013, SolidWorks Plastics and SolidWorks Electrical were selected as finalists for the Design News’ Golden Mousetrap Awards yesterday in the Materials & Assembly and Electronic & Test categories. Locally, SolidWorks has been nominated for the B2B Technology category of BostInno’s 50 0n Fire Award for Boston’s innovators, disruptors and stars. Winners will be announced for across categories like Consumer Technology, Dining & Retail, Marketing & Advertising, Sports & Fitness, Education and Design at the end of March. Stay tuned for results. For more information on SolidWorks award-winning products, visit our product page. Want to try out SolidWorks? You can request a free SolidWorks trial on our website.